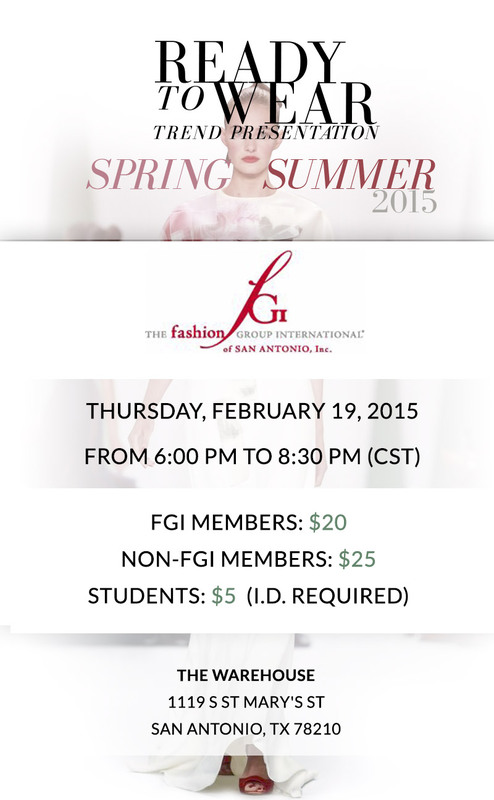 New York Fashion Week comes to San Antonio! This highly anticipated event is a favorite of professionals in the fashion, design and beauty fields. See highlights of the noteworthy trends, styles, and designers of the Spring 2015 season in this fun and informative fashion packed DVD presentation. This event is open to the general public. Tickets include a small appetizer plate and refreshments. Tickets are available for purchase from 6-7 during the networking hour. DVD starts promptly at 7pm. First 50 register will receive a VIP gift bag. Only members may receive the member price, guest of members need a non-member ticket. Ferrari of San Antonio Fashion Week South Kick-Off!